It seems to me that after going on a trip, I have a hard time putting our experiences into words. Well, that’s not quite true. I think that my real issue is organizing my thoughts about our experiences into a coherent, reader-friendly blog format. I shall once again endeavor to express our emotions when I describe what our trip to China was like. 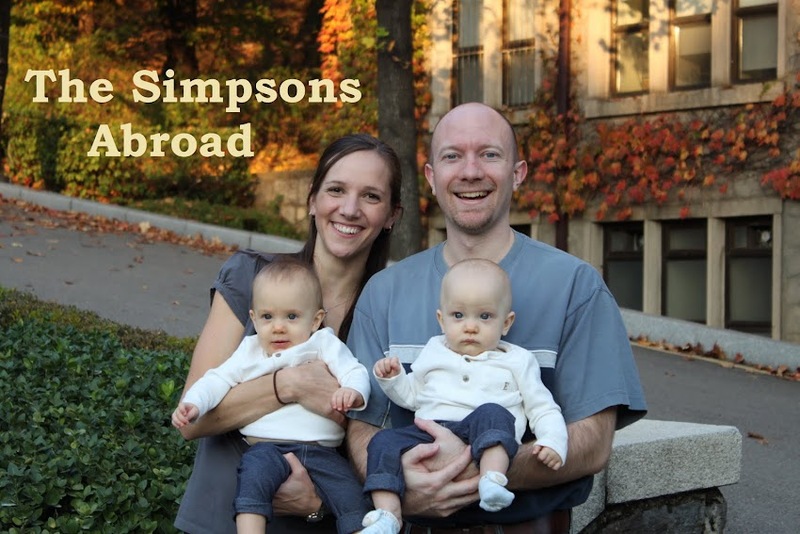 The adventure started the minute we landed in Shanghai when a team of nuclear blast-ready airport officials boarded our plane and proceeded to take the temperature of every passenger on board, apparently guarding the country of China from the H1N1 virus. This was not odd for us alone as we witnessed the Chinese pulling out their cell phones and digital cameras to document the event. 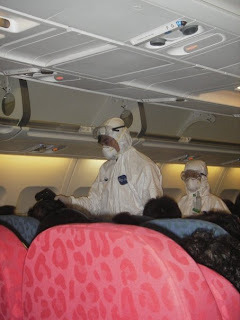 Chris and I wondered why they didn’t check us before we spent two and half hours aboard a flying petri dish, but seeing as we all came out swine flu-free, we didn’t stress about it too much. Once off the plane, we waded through the crowds to pass through customs and pick up our bags at baggage claim. 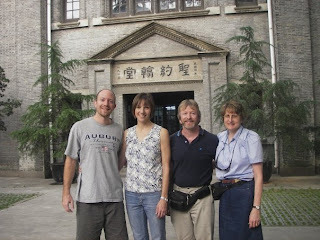 We met up with our friend and pastor, Tim, and he took us into the city of Shanghai. We arrived late at night and went to an all-night restaurant. If I’ve learned anything from our travels, it’s that if you want good food, go to where the locals are. This was a local’s restaurant. No one spoke English and, though it was close to midnight, tables were filled with Shanghaiese smoking, laughing, talking loudly, and (most importantly) eating. While Tim is completely fluent in Mandarin, he learned to read and write in Taiwan where they use a different character system than they do in the Mainland. So, in Shanghai, he finds himself in the situation that Chris and I have learned to be familiar with of being illiterate. So, we decided to randomly point to things on the menu and have the waitress bring them to us. Let me tell you, it was some of the best food I have ever put in my mouth. Steaming piles of chicken and peanuts in a savory sauce, roasted eggplant, sautéed shrimp, trust me General Tsao has nothing on this food. 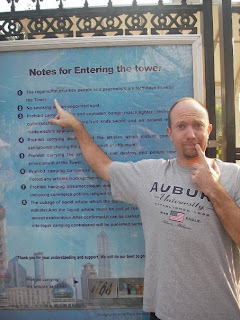 The next day, we got some famous Shanghai massages, toured the city, and enjoyed the interesting Chinese-English translations. 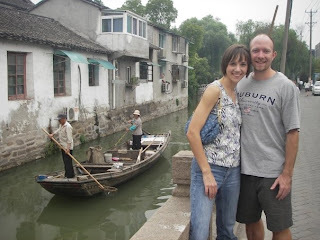 Thursday night, we jumped in a car and headed a couple hours west to a city called Suzhou. Known as the “Venice of the East”, Suzhou is a beautiful city built on canals and a moat. A few years ago, the Singapore government came in and built the new part of the city known as the Suzhou Industrial Park, or SIP. We went around the city comparing the new with the old and getting a taste for Mainland Chinese culture. Now, there is something im portant that I need to let you in on. Not all religion and church activities are illegal in China. In fact, there are five religions approved by the Chinese government that include both Catholicism and Protestantism. Moreover, since China is interested in attracting important foreign companies, they have actually poured quite a bit of money into developing the church community in Suzhou. That’s right, the Chinese government is paying to build a spectacular church and they are sponsoring a resident visa for our friend Tim to come and preach. Here’s the catch. Church activities can only take place in government sanctioned locations, by government sanctioned people, discussing government sanctioned topics. So, this means that every time our pastor preaches, the communist government has to listen to it in order to make sure he isn’t misbehaving. Think about that for a minute. We learned quite a bit about religious freedom and how it applies to both foreigners and local Chinese. I’m just going to tell you, God is active in China and He is working in some pretty powerful ways. We were thrilled to be able to be a part of it for a few days. At the airport on the way back home, Chris and I confirmed two things together. Number one, we have GOT to learn Chinese. Number two, China has not seen the last of us. Awesome! That is incredible that the officials HAVE to listen to the gospel preached! Truly amazing!! What a fun trip. I'm sorry your ragamuffin ways meant you missed out on the tower though. The church stuff is interesting. We have friends living in Guangzhou. Everyone must have foreign passports to attend services. There are 3 Chinese congregations too, but they are not allowed to associate with them.